@FordCanada’s Transit Vans will carry everything you care about! 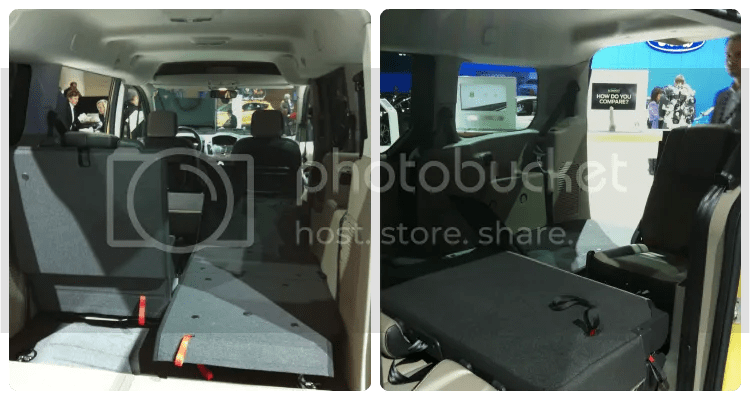 This year at the 40th Canadian International Auto Show (CIAS) in Toronto, Ford Canada revealed their all new 2014 Transit Vans. The new 2014 Transit Vans and Wagons will be available with various wheelbases and multiple heights. The Wagon can transport 8 to 15 people depending on the wheelbase. Transit Chassis Cab and Transit Cutaways are other options for those needing a more custom solution. 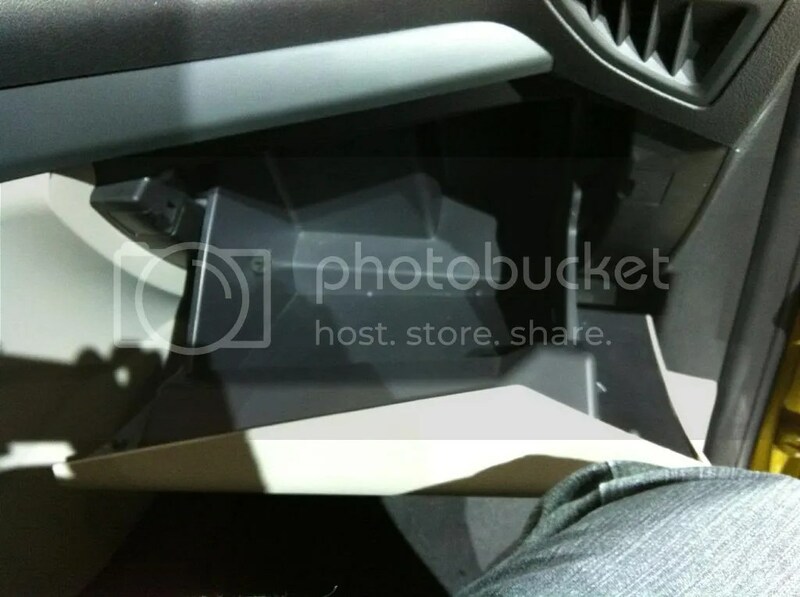 Ford Canada’s website has lot of information about the new 2014 Transit Vans. 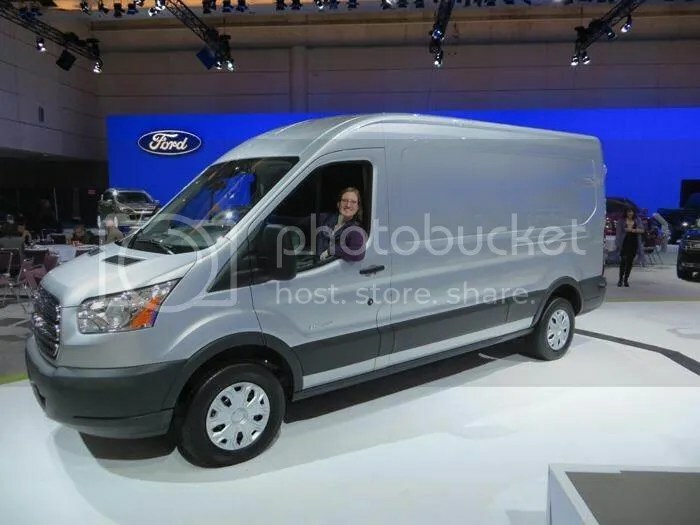 But Ford already makes the E-series vans…. When I sat down and talked with Darren Halabisky, Product Marketing Manager – Truck at Ford of Canada, this was one of the questions that I asked him. He said that the E-Series will eventually be phased out because the Transit Van, while maintaining the cargo capacity, will be much more fuel efficient. One of the 5 engines available will be an EcoBoost® 3.5L V6. The current E-Series vans are V8 engines. Saving on fuel costs will definitely help a company’s bottom line. Why would a mom be excited about commercial vans? There’s one more! The Transit Connect Wagon as a family vehicle? 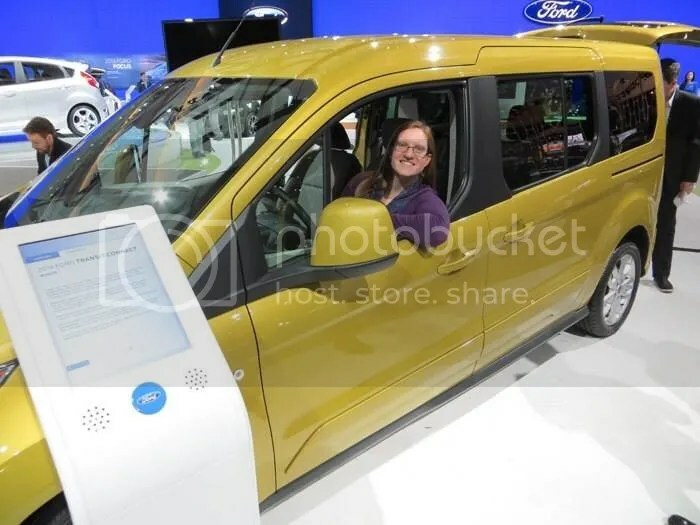 Going into my interview with Darren, I had read about the Transit Connect Wagon, and one article I read compared it to the Dodge Caravan. This really peaked my interest. We’ve owned Caravans and know what they have to offer. With the increase in crossover popularity, I was very interested to learn more about this new entry Ford classes as a “wagon”. n our conversation, Darren said that the various options that the new 2014 Transit Connect has to offer is going to make it very attractive to many companies and families. Yes, both! It will come with or without seats just like the Transit Van, but the Transit Connect is smaller. If you’re in Canada, you’re probably familiar with Canada Post’s local delivery fleet. They are the current model of the Transit Connect. In the redesigned 2014 Transit Connect, if you add some seats, you have the Transit Connect Wagon. I was intrigued and couldn’t wait until the reveal at the press conference. While waiting for the reveal I was able to look at all of the trucks! Ford is known for their trucks. The F150 has been Canada’s best selling pickup for 47 years… that’s a very good track record. At the North American International Autoshow (NAIAS) in Detroit, Ford showcased the Atlas Concept. The features that they have included in this concept are amazing. Darren told me that Ford listens to the ideas from the dealers and focus groups and puts these ideas into their vehicles. 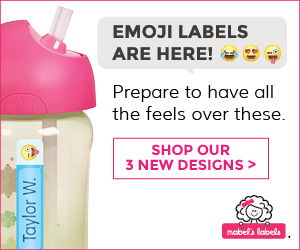 (I love when brands listen to their community!) The Atlas has some great features! Darren enjoyed talking about powertrain and other techie stuff, but I liked the “user friendly” ones. They have changed the tailgate step to also be a Cargo Cradle. This helps to carry extra long items across the top of the truck (like extended ladders or long 2x4s). Other neat features include: 360-Degree Point-of-View Camera, Trailer Backup Assist, LED Cargo Box, Side Mirror Lighting and Hidden Cargo Ramp. Please read the blog for more info. 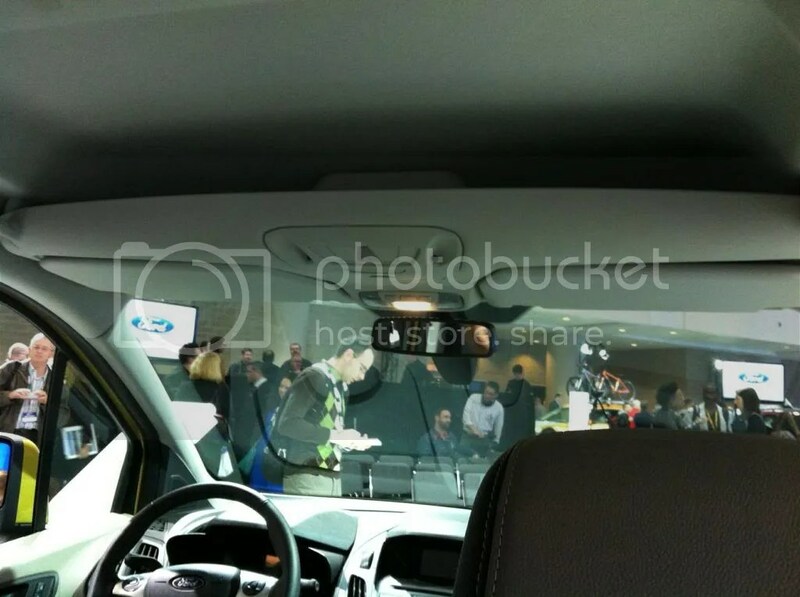 At the Ford Canada press conference, they revealed the new 2014 Transit Van and Transit Connect Wagon. I was amazed at what the Transit Connect Wagon had to offer. Getting into the Transit Connect Wagon is what sold me. They have thought of so many neat features. There are 3 rows of seats that will fit 7 people. Or fold down the 3rd row and your have room for 5 people and your luggage or pets. 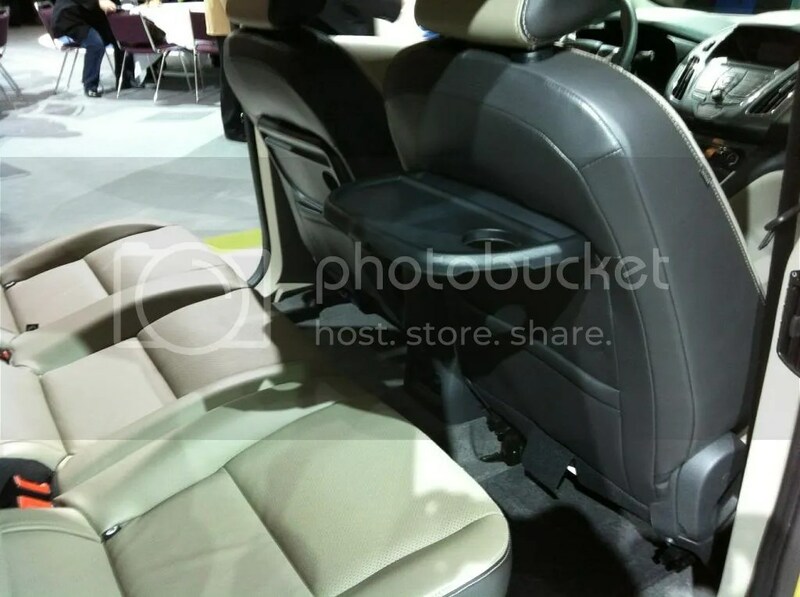 Folding down both rows of seats give you a big space for holding a lot of cargo! Sorry, but your friends will call you when they need someone to help them move. It’s nice to be needed, right? 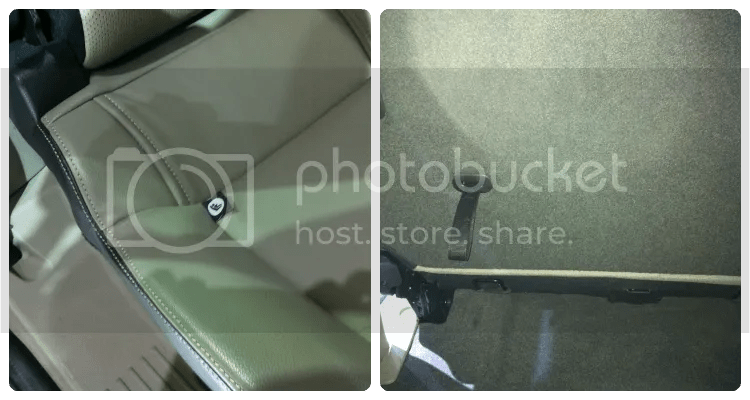 The middle seats are equipped with UAS and tether anchors, ready for a child car seat. As a child restraint technician, seeing that these are easy to find shows me that vehicle manufacturers are keeping their customers’ needs in mind. Rear passengers can rest their snacks or books on the folding tray. The glove box is huge! The over-head storage is currently available in the Transit Connects, but since I haven’t been in one before I was pleasantly surprised. 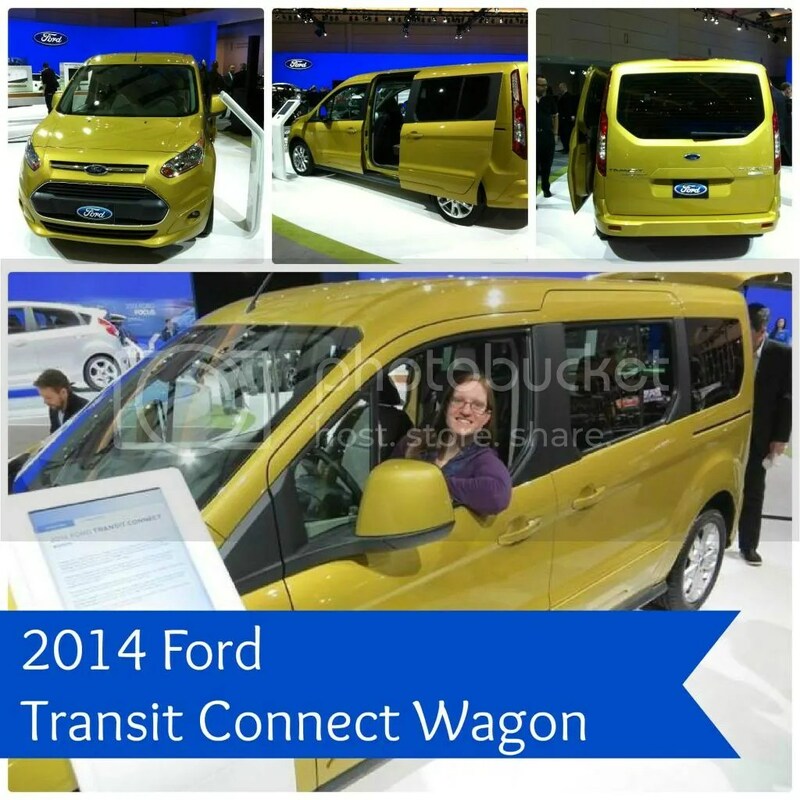 I really enjoyed getting a first look at the 2014 Transit Connect Wagon. They’ll be available in Canada towards the end of 2013. As you can see, these vehicles are extremely versatile. The Transit and Transit Connect will adapt well into any company fleet, and the Transit Connect Wagon would be a great addition to any family that requires the space but fuel efficiency is important. What do you think of Ford Canada’s new Transit and Transit Connect Wagon?